Ever-changing regulations in the pharmaceutical industry force companies to adopt new technology in order to maintain efficiency and competitiveness. With the right tools, you can improve operational processes, create efficiencies throughout the organization, expand relationships with suppliers, and continually improve customer satisfaction. 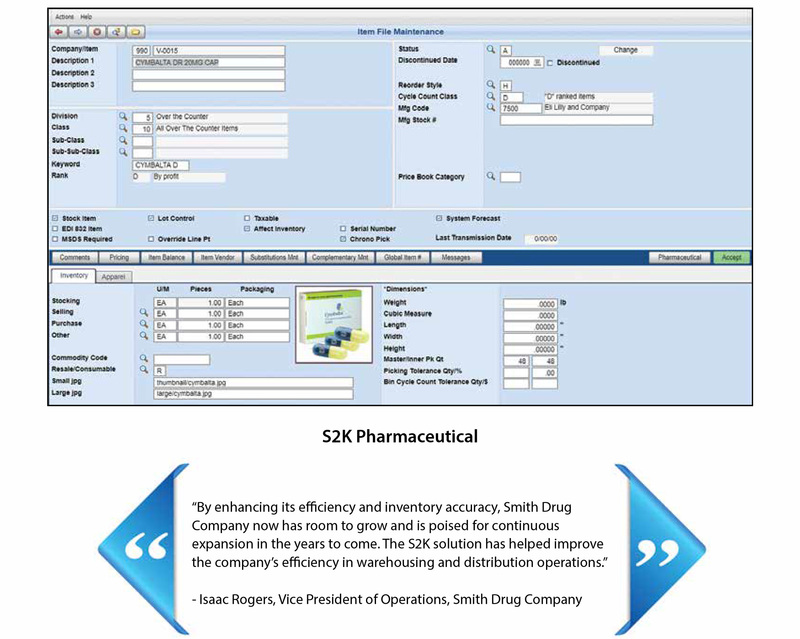 VAI S2K Pharma is a complete, out-of-the-box ERP solution for the Pharmaceutical Industry, allowing manufacturers and distributors the ability to achieve long-term growth and success, and meet regulatory compliance.